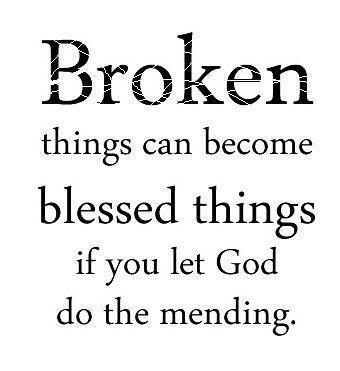 Breaking, broken, brokenness. Broken is my OneWord for 2013. This is where I belong. Broken used to frighten me. I am no longer afraid. This year has been such a revelation, confessing my brokenness, because breaking gave me permission to be free. It gave me permission to be honest, to look at the scariest things, go to the deepest places, to trust, to grow. To learn, but not to heal. I don’t want to be unbroken. My brokenness reminds me that I must stay close to the Throne, as it is He Who holds me together. I don’t want to be unbroken. The 34th Psalm reminds me of my right place; close to my Savior.